Award Winning UID Label Printer - IUID Labels Trusted by the DoD | Data Graphics Inc. Award Winning UID Label Printer - IUID Labels Trusted by the DoD | Data Graphics Inc. Core Questions- What is a UID Identification Label? Is it Different than IUID Marking? Why is a DoD ID number important? What Information Should Be Included on Your IUID Labels? For the US military, a unique UII number is vital to maintaining proper inventory, maintenance schedules, and minimizing lost and stolen equipment. 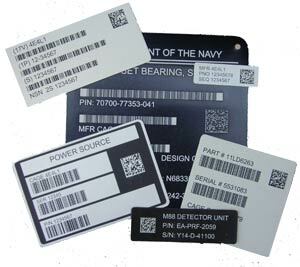 The DoD unique identification number that is encoded on the IUID marking, is marked with a Data Matrix, commonly called a “UID barcode.” That is not technically correct, as the “UID barcode” is really a Data Matrix code, but the “UID barcode” jargon has remained in common use. In compliance with MIL-STD-130 n, the contents of the “UID barcode” Data Matrix are encoded with the syntax of ISO/IEC 15434 and the semantics of ISO/IEC 15418. All of the materials we use for our IUID labels can withstand harsh conditions such as chemicals, abrasions, solvents and high temperatures. Our most durable and resilient IUID marking substrate, however, is metalphoto®. Metalphoto UIDs stand up remarkably well against caustic agents like acid, and salt spray. Metalphoto IUID tags can survive for decades outdoors in even the most extreme environments. 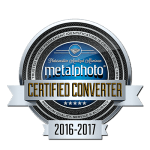 Each metalphoto IUID tag is resistant to abrasion, cleaners, lubricants, fuels, salt spray, temperature extremes, and UV-degradation. We provide countless printing options for your IUID tag printing. 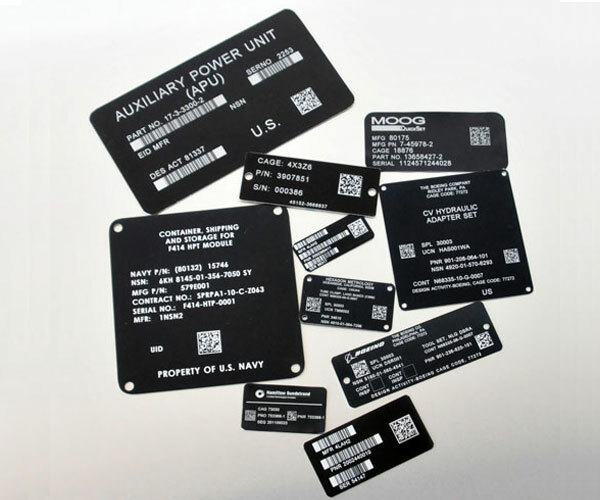 We can manufacture IUID tags via metalphoto, hot stamping, digital printing, and laser etching. We provide a number of adhesive options so your UID tag can be applied wherever you need. 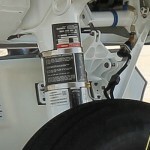 We carry pressure sensitive, solvent activated foam, removable, and permanent adhesives for IUID labels. All of our IUID labels meet the MIL-STD 130 n requirement so you can trust that your IUID tag comes verified and validated. 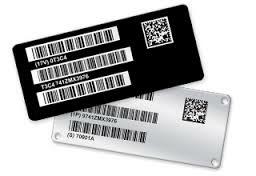 We carry the most advanced UID barcode software in the industry ensuring your IUID tags meet MIL-STD 130 requirements. 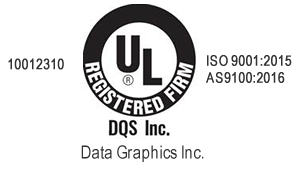 Data Graphics also uses the most sophisticated of UIDs Compliance Verifier. This machine evaluates and verifies the UII number and symbol according to specifications in MIL-STD 130 and DFAR 252.211-7003. Data Graphics also meets several DoD MIL specifications, such as MIL-P-19834, MIL-P-15024, MIL-A-8625, GG-P-455. Data Graphics is perhaps the most highly decorated ID label printer in America. 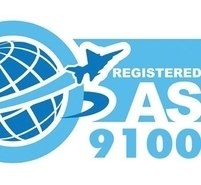 We are the rare ID labels printer to be UL, AS 9100, RoHS, ISO 9001:2008, and Metalphoto certified. We are accustomed to meeting many of the most demanding IUID tag standards in the nation including GE, Siemens, Lockheed Martin (Small Business Partner of the Year), Rockwell-Collins (highest level Platinum Premier Supplier Award) and Boeing, (highest level Gold Supplier Award). We would never risk our reputation as the nation’s best ID label printer on anything less than the highest quality UIDs. Data Graphics wins those awards and many more as America’s top UID label printer because our quality and service are unsurpassed. As the nation’s leading ID label printers, we commit to the highest standards–so high, in fact, that we average 99% approved order rates. Our IUID tags are engineered to resist cracking, fading, and image degradation and stand up to whatever conditions they are subject to. 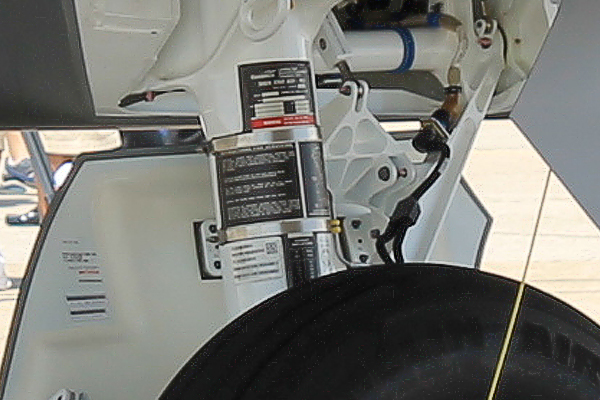 We have UID tags on military vehicles in the dessert, anodized aluminum IUID tags on air craft carrier in the ocean, and metalphoto UIDs on jet fighters overhead. We know how to make the highest quality, longest lasting IUDI marking decals for every conceivable military application. We are a remarkably fast ID label printer… we mean really fast. We are the industry leader in UID barcode printing, with turn-around times of just 2-10 working days. We will print your metal IUID tags and synthetic IUID labels on time every time. In fact, more than 60% of our UID identification label orders ship early. With a 25,000-square-foot production facility and 60+ highly-trained ID labels printers, we are ready, willing, and able to meet every IUID marking needs. Please call 800-639-4316 today and discover for yourself that we are the fastest and most responsive ID labels printer. Working with Mil-STD-130 n regulations and DoD unique identification number creation can be a headache. As a leading DoD ID labels printer, we take most of the stress away. You won’t find an ID label printer you will enjoy working with as much as Data Graphics. Our personalized service that makes your entire UID barcode ordering process easier. With a single dedicated point of contact — an experienced ID labels printer – you will get error-free orders. Our knowledgeable, helpful staff has over 500 years of collective printing experience, much of it working with UIDs. You will have a hard time finding UIDs snafus we haven’t already solved. We go the extra mile to find the best solutions, navigate the DoD requirements, and help our clients’ solve their UID barcode printing problems. We are so helpful that more than four out of five customers reorder with us. A quality UID label printer can save you more than headaches – the best ID labels printer can also save you money. Data Graphics may be the most versatile ID label printer in America. We can digitally print, thermally print (as roll labels), laser etch, and metalphoto develop your ID labels. This versatility allows us to print your sequential, unique identification number in whatever methodology best suits your needs. We can also print on a wide variety of substrate perfect for UID barcode printing, such as BOPP, a polycarbonate like Lexan, a polyester like Mylar, polyimide, anodized aluminum, and metalphoto substrate. Different methodologies will prove more cost-effective over time, due to the replacement cost of IUID labels. Our expert staff will provide you with the best options for IUID tags, and walk you through the strengths and weaknesses of each, to minimize replacement costs and waste. Our goal is to print your UII number and UID barcode using the best methodology on the best substrate so that we become your ID label printer for life. We know how vital it can be to get your ID labels printed correctly and on time. Each UII number and UID barcode is crucial, so each IUID marking should be checked for accuracy and quality. 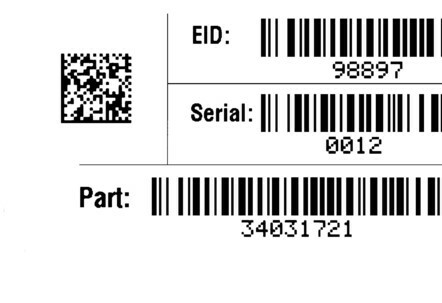 The typical ID labels printer will only inspect random samples of your UIDs order. Data Graphics has 100% inspection standards. Yes, every single one of your unique identification number tags is inspected by our quality assurance team. We do our own fabrication in-house, so there are excuses and no delays on getting your IUID tags fabricated exactly to your specifications. 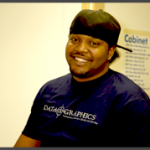 Data Graphics is large enough to have an array of leading edge machines. We continually invest in our equipment and facilities, including a recent $1 million investment, so you consistently get the highest quality from your UID label printer. We can employ whatever IUID tag printing methodology is best and most effective, because we have the right tools. We are still small enough, in spite of our world-class capabilities, to value each client in the DG family. 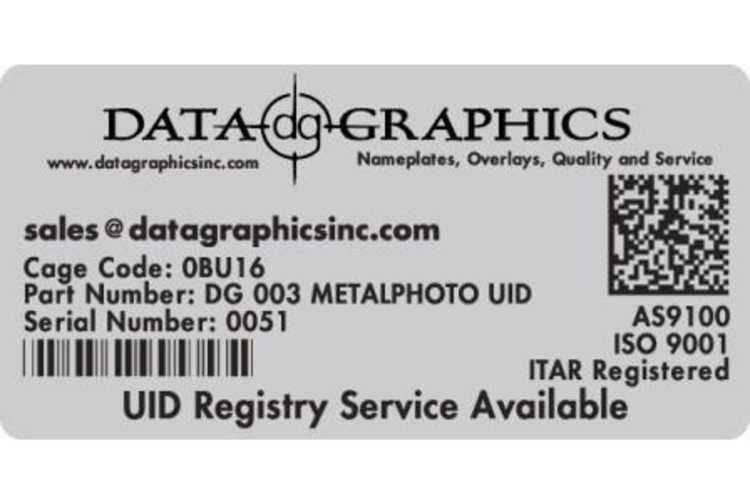 Each of the thousands of UID identification labels and DoD unique ID nameplates we create is manufactured to the same high standards as if it were going on a tank, jet fighter, or submarine, where it will join other IUID labels we have already printed. You will never be treated like “just a number,” but get small the hometown service you deserve. There is no UID label printer as committed to your satisfaction and success as Data Graphics. Don’t just let us print your next UID barcode decal or metal IUID tag–let us ship it to you for free. Simply place your order with us, approve the art, and relax knowing your UIDs project is in the hands of perhaps the nation’s UID label printer. There is no need to think about your order again until it arrives on time at your door. Isn’t that the way every ID labels printer should operate? 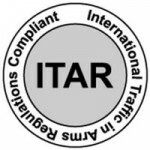 It goes without saying that any decent UID label printer is ITAR (International Traffic in Arms Regulations Compliant) Registered. As an ITAR ID label printer, we adhere to the highest standards of security and confidentiality, and would be happy to sign your NDA. Working with an experienced, tested, widely certified ID labels printer like Data Graphics can take the stress and confusion away. 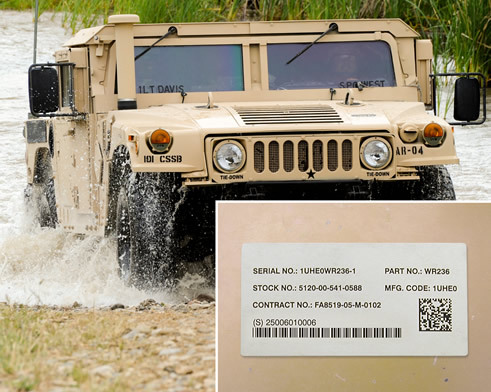 Meeting MIL-STD 130 n standards and creating your IUID labels can be challenging – from getting your DoD ID number, to creating a UID barcode/Data Matrix, straight on through the IUID label printing. Data Graphics is accustomed to meeting these standards and making it easy for you to navigate the IUID tag requirements. We are also accustomed to creating America’s finest UID identification label, and rushing it to our clients in 2-10 days. Please call us today at 800-639-4316. Give us one change to earn your business and we will become your lifelong UID label printer.